Thought the motor show season was over? Think again. The final gathering of the year – the Los Angeles Auto Show – is underway and, to mark the occasion, Munich has just pulled the covers off of this: the BMW i8 Roadster. 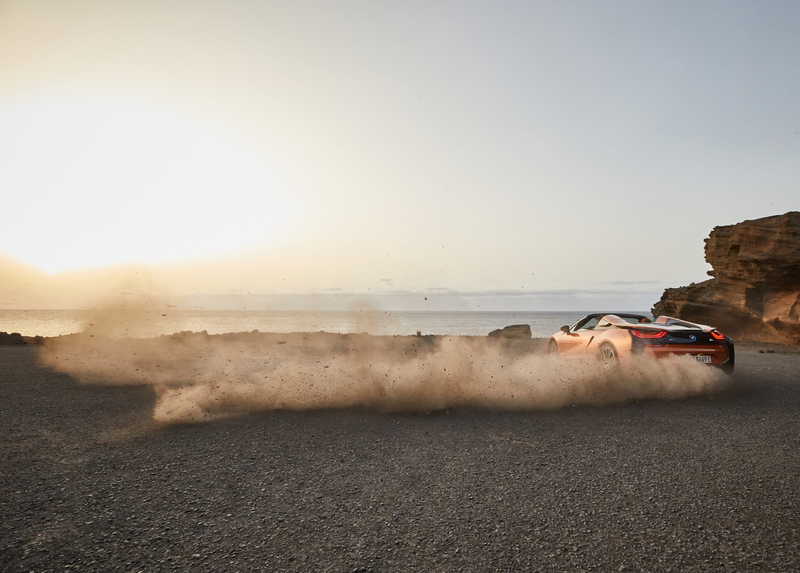 Yep, that’s right, the trailblazing hybrid sports car has finally shed its roof, giving us the alfresco two-seater we’ve been craving since, well, the launch of the original i8 way back in 2014. While we’ve always liked the ‘standard’ i8’s radical styling, there was always something slightly awkward about the coupe. 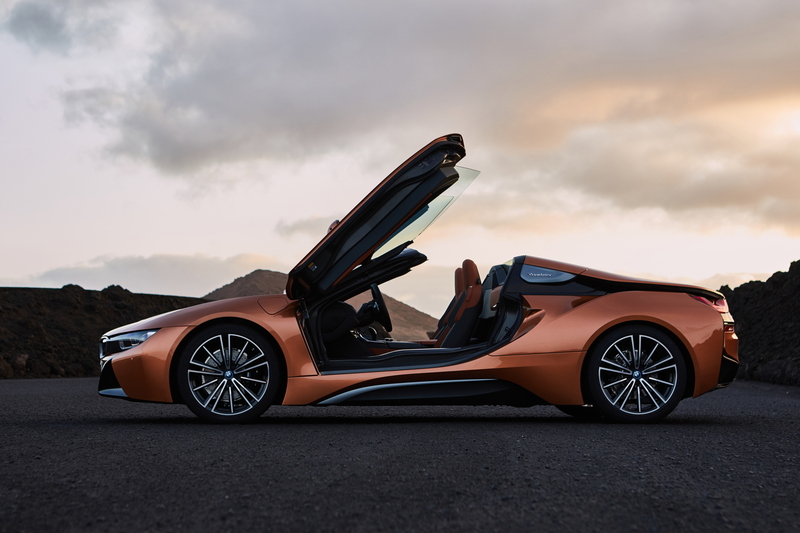 Dropping the top has definitely cured that; the BMW i8 Roadster is a stunner, with the two McLaren-esque humps behind the seats blending seamlessly into the heavily sculpted rear end. 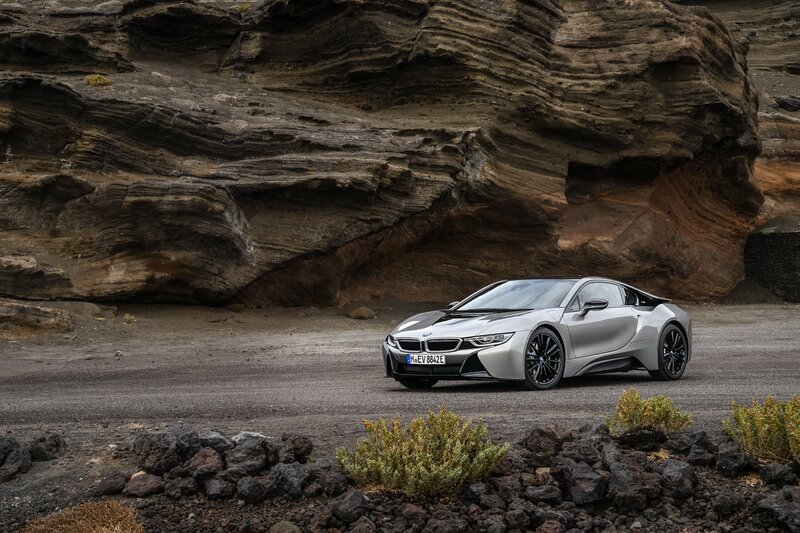 It wasn’t just the hybrid powertrain that made the i8 so ground-breaking when it was debuted three years ago. To maximise the performance from a relatively modest power output, BMW ensured that weight was kept to a minimum, extensively using composite materials in the sports car’s construction. 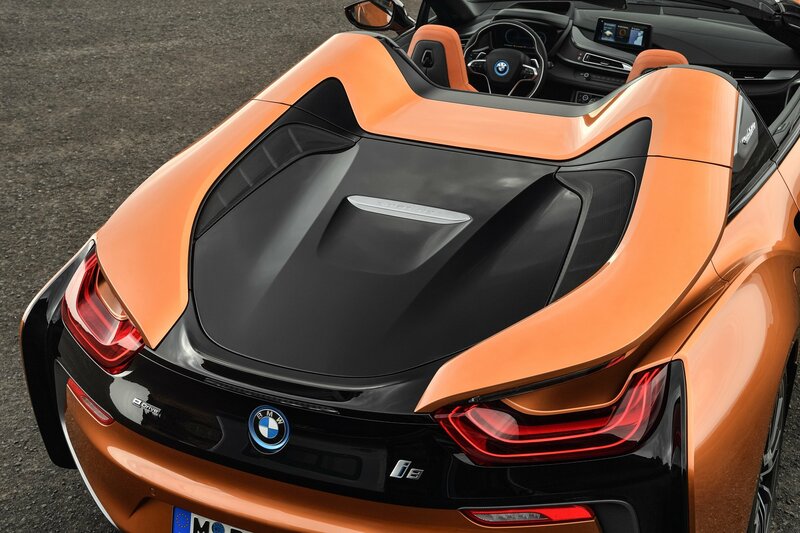 Of course, going down the cabriolet route always adds a little extra heft but the Munich manufacturer has worked hard to prevent the i8 Roadster piling on the pounds. Elements such as a carbon fibre windscreen frame has limited the gains to just 60kg. 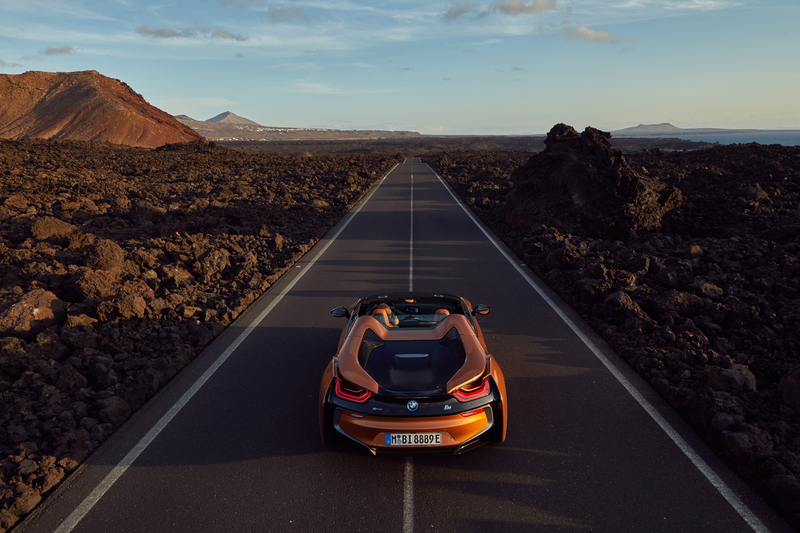 To cope, the i8 Roadster gets a bespoke chassis tune to ensure it’s still as thrilling to drive as the Coupe, while the performance figures are barely dented. 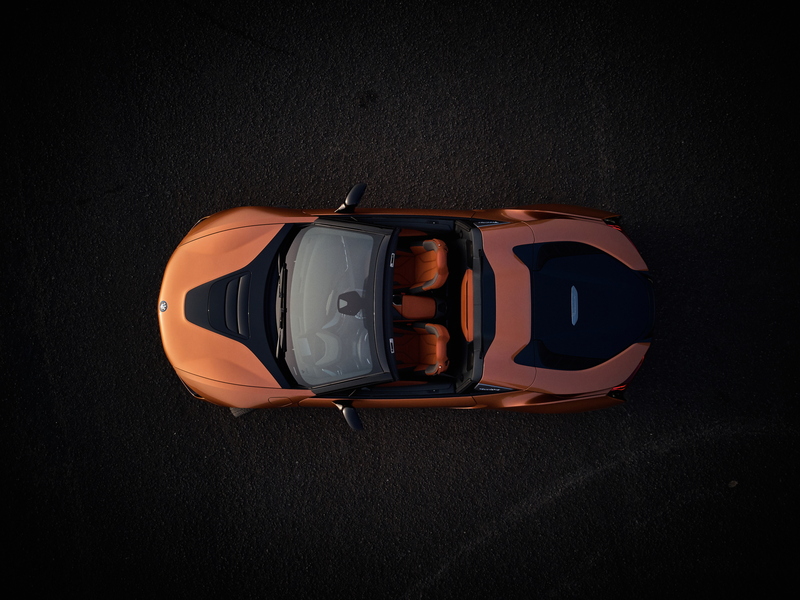 The 0-62mph is just 0.2 seconds slower, while the Roadster retains the same limited 155mph top speed. Don’t worry, if you don’t fancy gliding silently at 60mph with just the wind whistling through your hair, BMW is still keeping the Coupe as part of its i8 line-up. 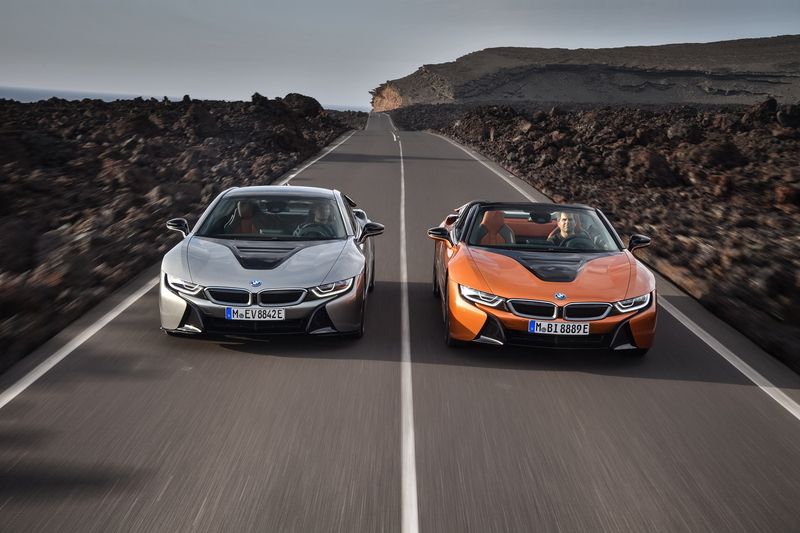 BMW has used the launch of the Roadster to refresh the i8 range more generally too. While the three-cylinder turbo engine has been left untouched, the electric motor’s output has been boosted to 105kW (that’s roughly 143hp), while the lithium-ion battery’s capacity has been upped by around 50 per cent. 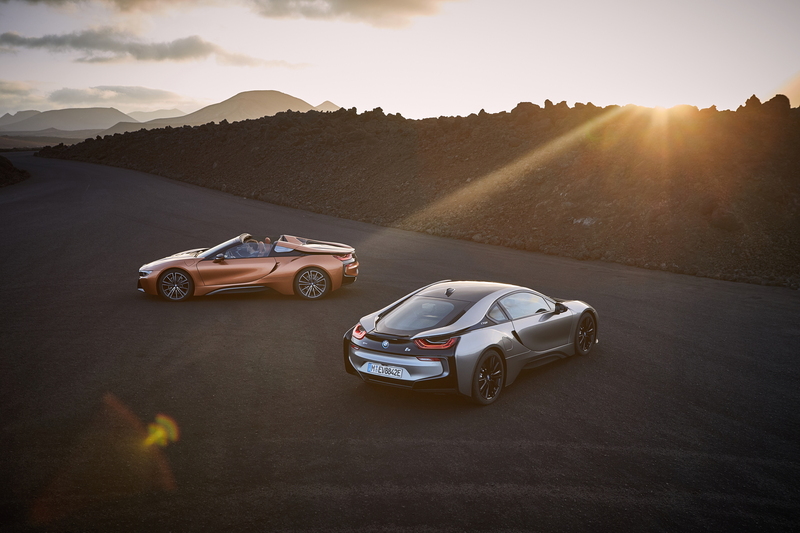 This all means you can drive both new i8s on full electric juice at speeds up to 105kph (a threshold that can be temporarily increased to 120kph at a push of the ‘eDrive’ button). 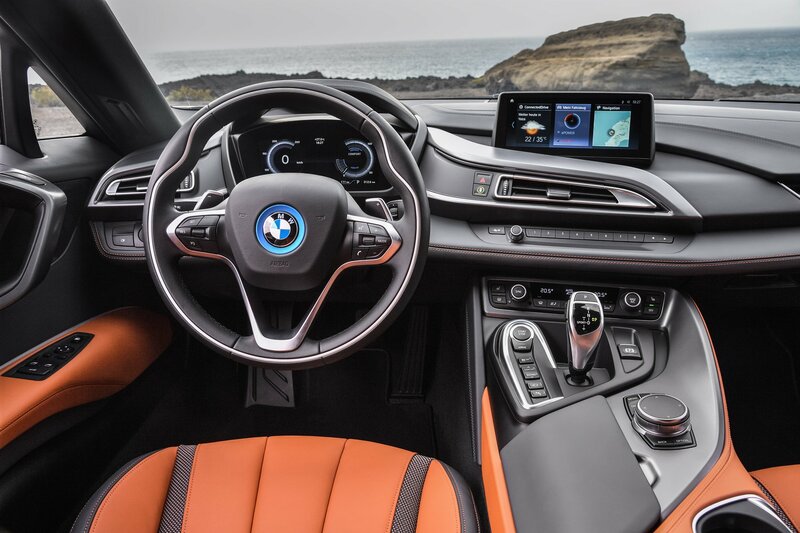 Inside, the BMW i8 Roadster gets a unique Ivory white-with-black leather interior, while both variants can be specced with the new carbon interior trim package. There’s also the latest iteration of BMW’s ConnectedDrive systems, with the tile-based infotainment seen on the latest 5 Series. What’s the price for all this? Well, it hasn’t been announced just yet but expect the new BMW i8 Roadster to come with an added premium over the standard Coupe’s six-figure price tag. Can Spain’s tortuous mountains unearth the new BMW 5 Series’ talents?